Ships today if you order in the next 9 hours 17 minutes. Auto Ship & Earn + 140 Points What's this? Pleo Alb Ointment from Sanum is a homeopathic product formulated to potentially provide relief from that itching, minor irritation and soreness often associated with Candida albicans yeast infections. This ointment makes use of a branch of homeopathy known as isopathy - instead of like affecting like, it is same potentially benefiting same. What that means is this homeopathic product provides a diluted solution containing a very small amount of the actual fungus that can cause candida issues. The isopathic effect is due to the combination of the saprophytic yeast phase with the parasitary fungal phase of Candida albicans. Applying Pleo Alb ointment to a problematic area of skin could encourage your body's natural defenses against infection. You may want to consult your healthcare practitioner for advice on how much or how long to use this product. 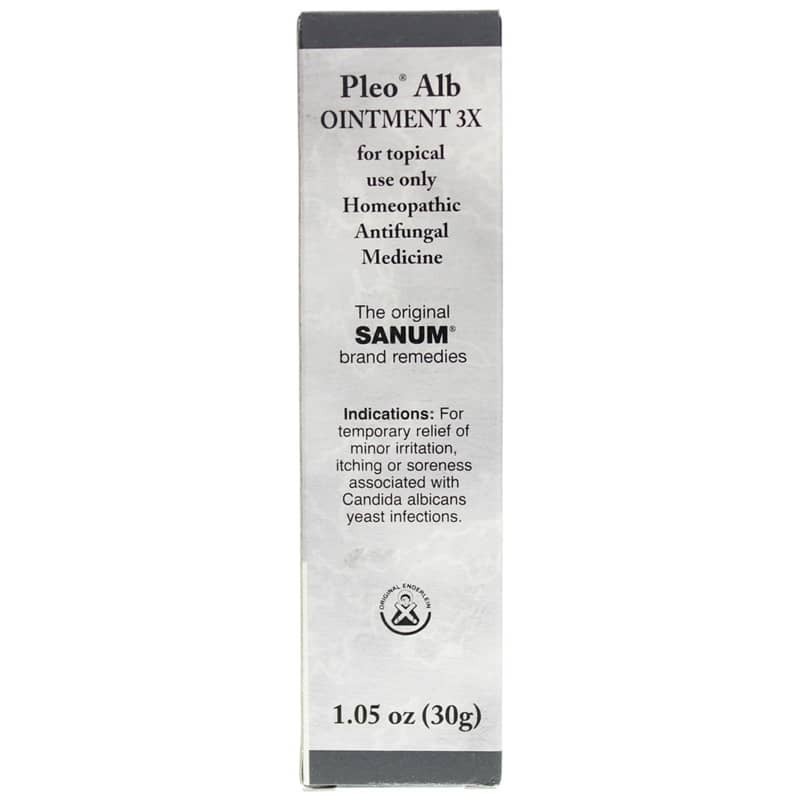 Try Pleo Alb Ointment from Sanum and find out if you can get some homeopathic relief. 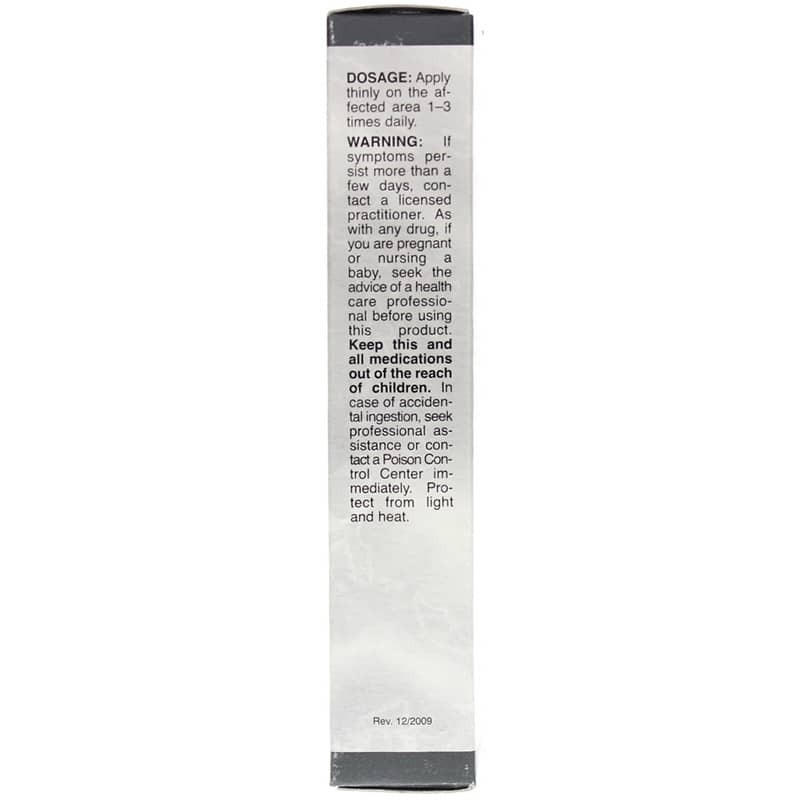 Inactive Ingredients: cocoate magnesium sulfate, glycerylmonostearate, lactic acid, lanolin alcohol, polyglyceryl-3, propylene glycol, water. 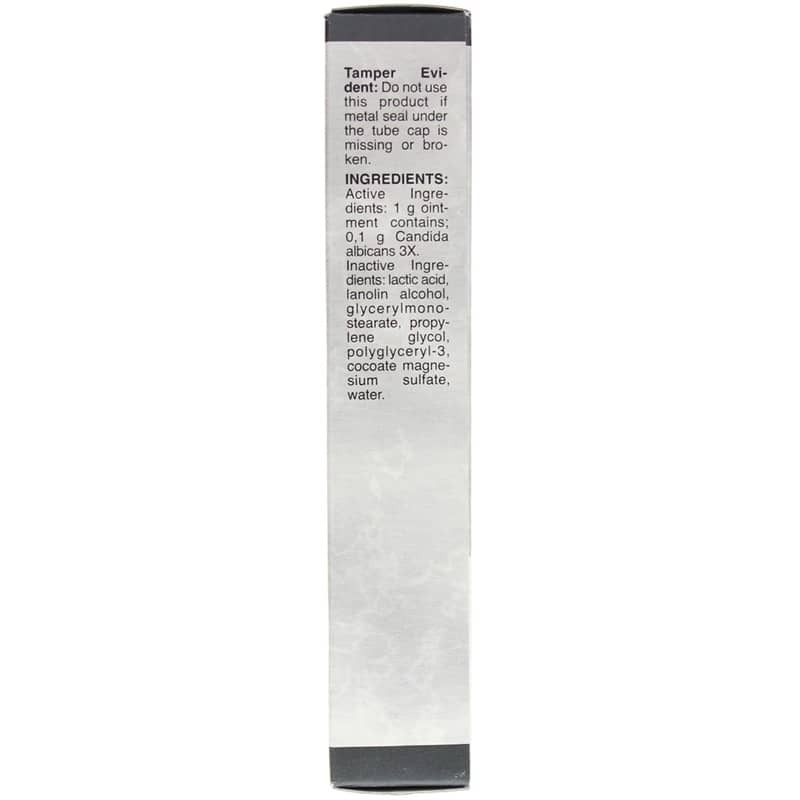 Adults: Unless otherwise prescribed, apply thinly on the affected area 1 to 3 times daily. Duration of treatment: Dependent on the advice of the physician or health care professional. As with any drug, if you are pregnant or nursing a baby, seek professional advice before taking this product. Keep out of the reach of children. Alb Ointment is clearing up the condition on my back.